After rival presidential candidate Ince challenged Erdogan to a public debate — an event the incumbent has repeatedly avoided even as he moves to consolidate his power — the former's rallies, including Saturday's enormous turnout in the coastal Aegean city of Izmir which saw millions in support, have been scrubbed from Turkish national networks. Erdogan will face his strongest challenge to date during the Sunday presidential vote, in an event that could shift the nation's system of governance from a parliamentary to a presidential system, a move by Erdogan that was narrowly approved in last year's referendum. While speaking at a huge rally in Ankara on Friday, Ince, for his secular Republican People's Party (CHP), invited Erdogan to confront him. 'Tomorrow is the last evening. If you have the courage, confront me,' he said, cited by The Daily Mail. But on Saturday, Ince discovered that his challenge would be met with silence, learning that opposition speeches would not be broadcast by the state-run Anadolu news agency and TRT television. The opposition candidate quickly brought attention to ongoing "sabotage" of the CHP movement by Edrogan's Justice and Development Party (AKP). 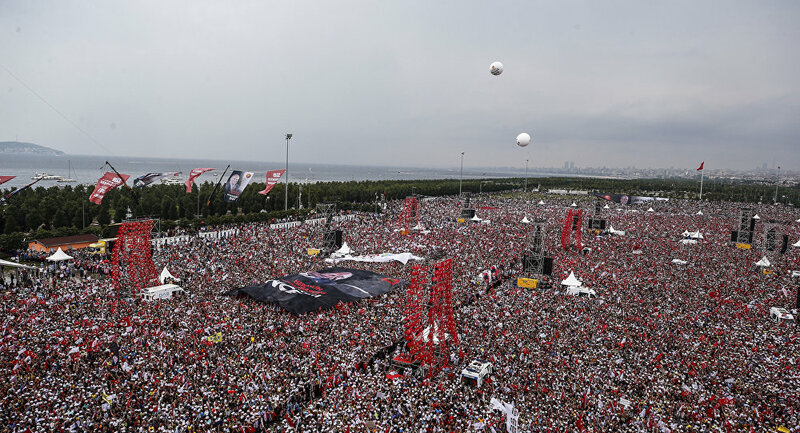 Facing increasingly robust disapproval in his home country, the nation's incumbent strongman has seen opposition parties and groups forming anti-Erdogan alliances, even as Ince and his followers staged three packed rallies in just three days in Izmir and Ankara. Ince appeared to taunt Erdogan's fear of debate, saying, 'Look, that's my last proposal to you. If you want, I can even cancel my Istanbul rally for you," according to the Daily Mail. 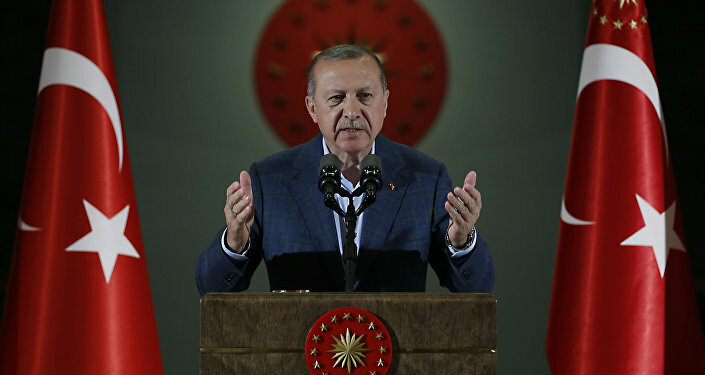 Erdogan has notoriously refused to debate Ince or any other candidate, noting the likelihood that it could serve to undermine the strongman's power base. "I don't want anyone to get points through me," the incumbent Turkish president — who is still polling to win — asserted. Some Ankara analysts have noted that Ince's popularity could force Erdogan to run in a second election campaign on July 8.